Residential roofs tend to be more decorative in nature. Having a visually-pleasing roof line can help make a home seem more desirable when it comes time to sell it. In contrast, a commercial roof is more functional with a decidedly no-nonsense feel about it. Because they are larger, and often have to be strong enough to hold the weight of equipment, such as heating and cooling systems, commercial roofs are almost always flat in design. Commercial roofs also need more maintenance, often due to the fact that the materials are installed in large sections. 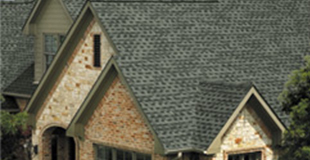 While a residential roof has a higher slope due to the peaks, it is relatively easy to install. With the exception of a chimney, there are few obstacles that stand in the way of its installation. A commercial roof, though, tends to have obstructions such as external piping, smoke stacks and other equipment that must be worked around. This means that the installer of the commercial roofs must understand how to incorporate the desired materials while still protecting the integrity of the equipment that is present on the roof. Whether you need a new roof for your home or your commercial building, you need to make sure the contractor you choose has the right type of experience. A Plus Roofing specializes in the complex intricacies that are involved in installing commercial roofs in the Twin Cities of Minnesota.